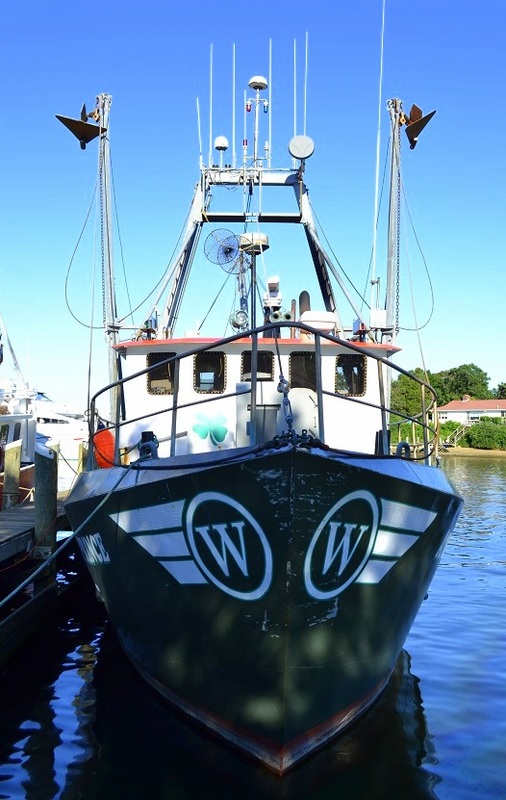 Known to some as “the Capital of the Cape,” the village of Hyannis, Massachusetts serves as the primary ferry link to the island of Nantucket Island. Steeped in history, the harbor is a stone’s throw from the JFK Hyannis Museum and only two miles from the Kennedy Compound. A short stroll along the Hyannis Harbor on a a late summer’s afternoon hosts numerous aesthetic delights . Here are but a few . 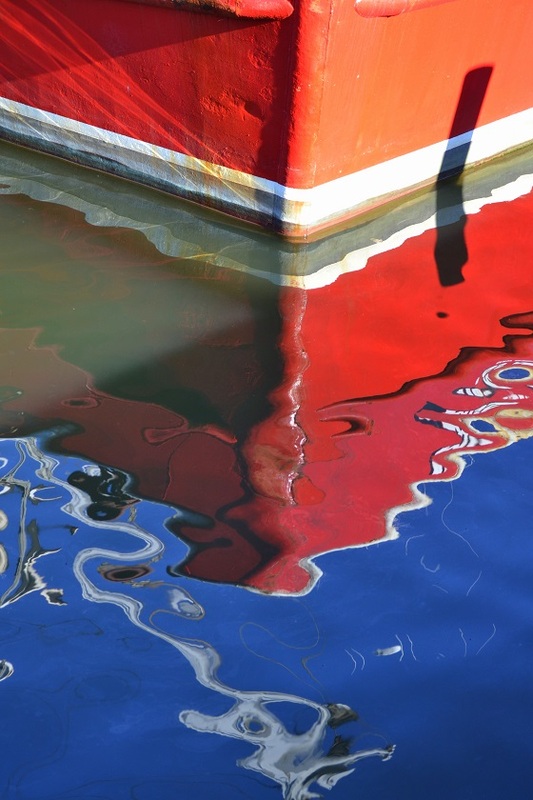 . .
A trawler’s bow reflecting off the water. 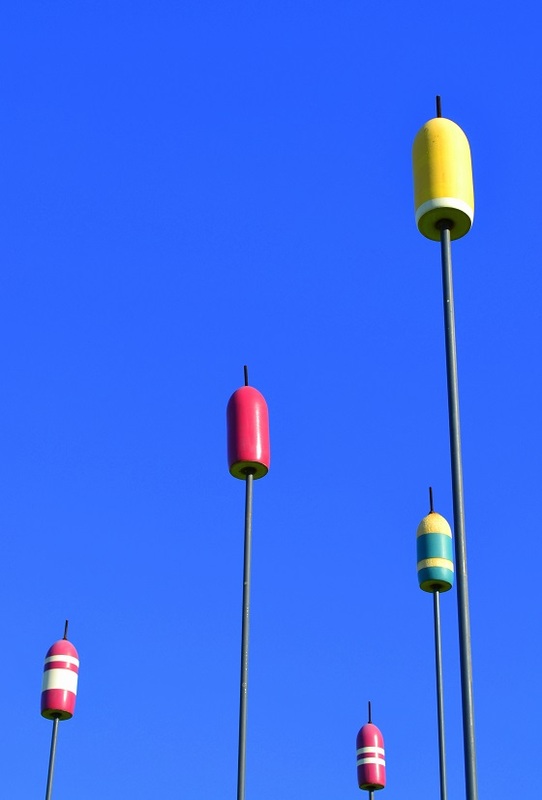 Buoys artfully adorning the path leading to the harbor. 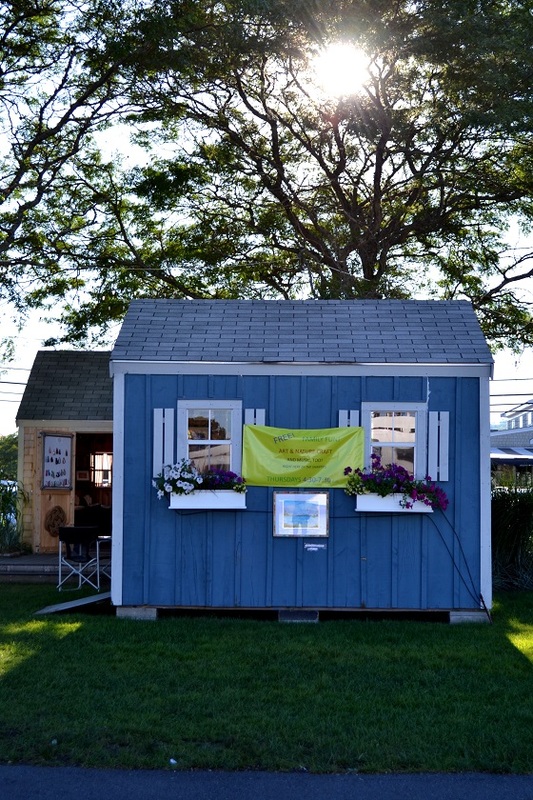 A few of the artist shanties where local artisans sell their wares. A fishing boat in port. 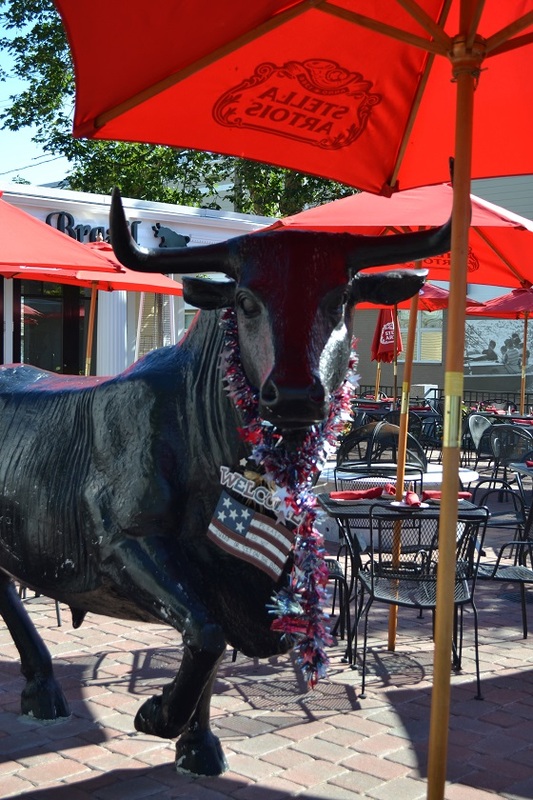 A statue adorning a restaurant along Main Street. 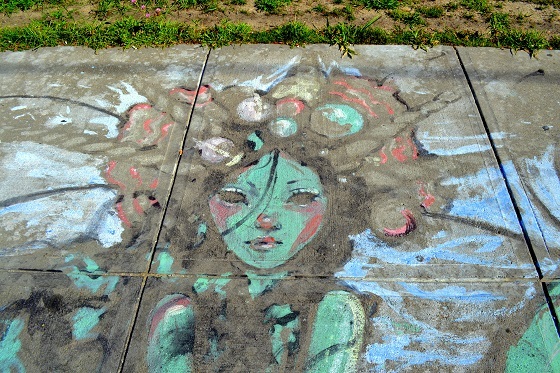 Some very convincing sidewalk art. 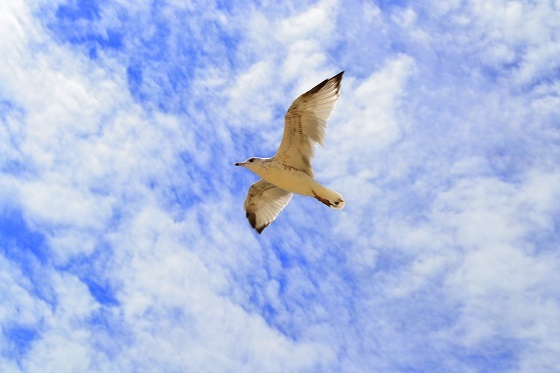 All images © 2013 by Gina Marie. All rights reserved.